Exciting news friends! Next week Mr A and I are leaving on a jet plane for some fun adventures in France and Belgium. (This will be the third year in a row we have taken a post-summer France-Belgium foray — we are quite addicted). I have a few fave Euro shops that I don't miss. Even though I can visit a COS any day of the week I do pop my head in one of those locations because I can't help thinking the assortment might be a bit different. One shop that hasn't made it to Canada yet that I never miss is & Other Stories. Like COS, & Other Stories is owned by Swedish parent company H&M. & Other Stories, or Stories for short, is fashion forward, more expensive than H&M, about on par price-wise with Club Monaco and less minimalist than COS — I think that's how I'd describe it. You can check out my post about last fall's wardrobe additions here. Anyhoo, I did a little pre-travel shopping research the other day and let me just say I'm a bit excited. First obsession: those shoes above. Helllllooooo Patent Leather Loafer Pumps. These are the frankenfootcovers made up of all my favourite shoe things: shine, buckles, pointed toes, block heels, and those folded over tassel thingys that make me think of golf shoes. These are a little revisit of my favourite '90s block healed loafers and they are giving me all kinds of nostalgic feels. I'd wear these with skinny black trousers and a simple black top. If you read my post about last fall's finds you know I already have a green dress not unlike this. Um. I want this too. Please. Crepe Dress. I'm on a mission to limit the pattern I put on my body but maybe the print version is better? Pattern must be seen in person in order to properly assess suitability. Must see. Print Crepe Dress. And can we talk about those boots for a minute? I have never felt over-the-knee boots were for me because I'm just too short to pull off the proportions. Most OTK boots are actually up to mid thigh on me. But these, these are even looooonger. These boots are probs Up To My NooNoo Boots. And I want them. Because look at them with those dresses. This I can do. They are like trousers and boots and tights all in one. So chic. Or I might look completely ridiculous in them. We'll see. High Shaft Leather Boots. 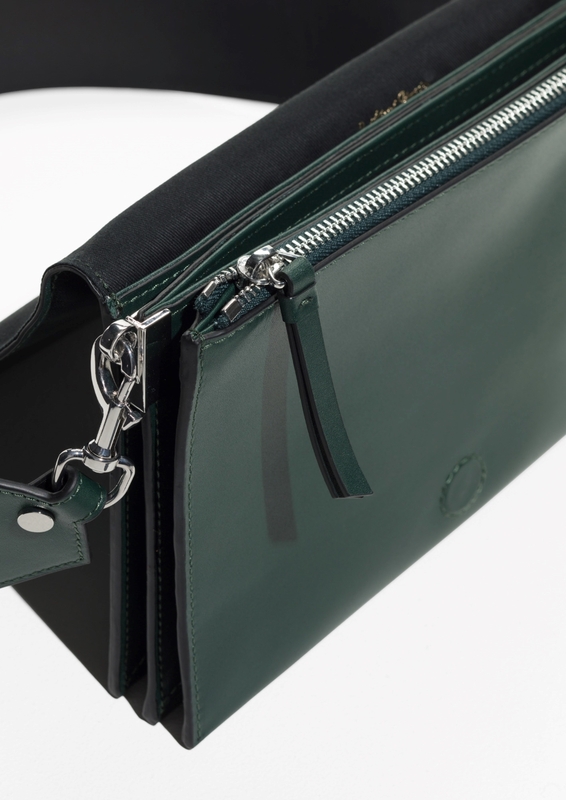 And then there's this green bag of my dreams. Wide Strap Crossover. And now that I've found an antiperspirant that doesn't turn my white shirts yellow in the pits I feel like I am more open to acquiring white shirts. How many white shirts is too many? Love this. Puff Sleeve Peplum Blouse. Such a darling top. A bit summery but I'd wear it all year round. I swoon for anything with scalloped edges. Makes me think of Oscar de la Renta (rest). 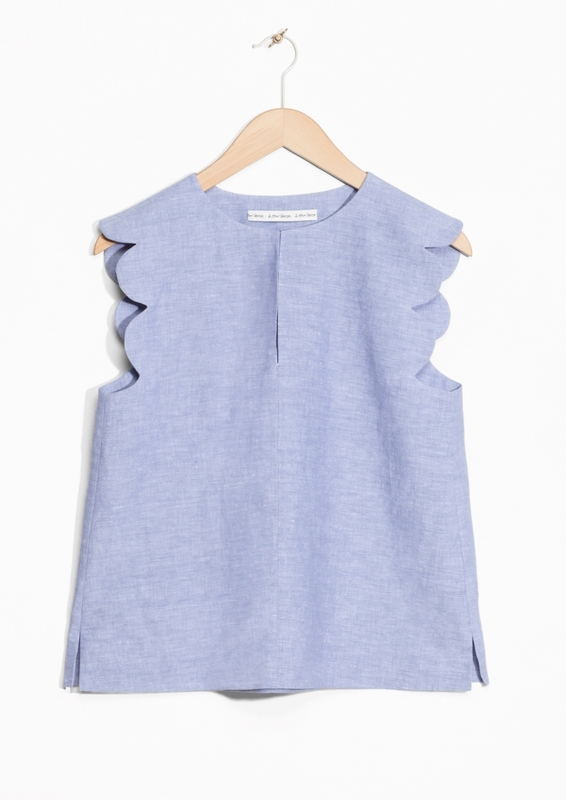 Scalloped Linen-Chambray Blouse. Trend alert: brooches! Yes, brooches. Speaking of the '90s, remember brooches. I have a whack of them and used to wear them in clusters on a blazer or a jean jacket. 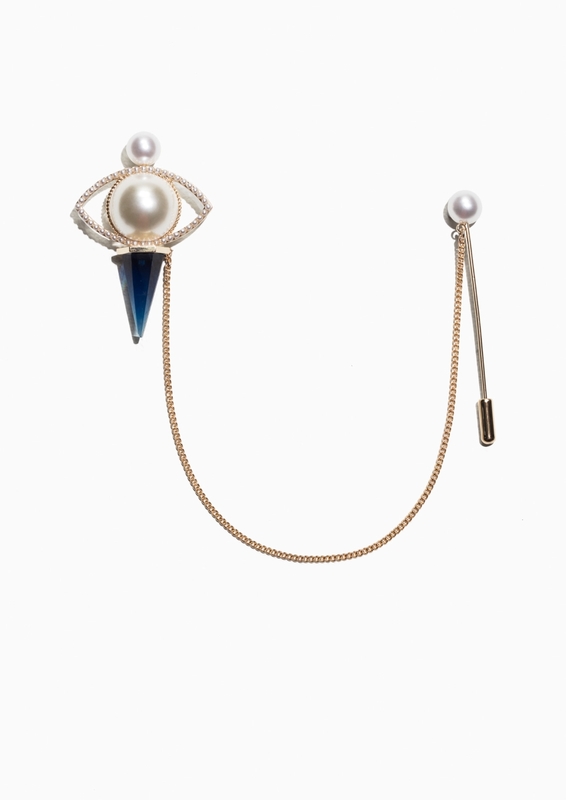 At Stories you can opt for a fancy one or a more minimalista modern stick pin. A STICK PIN. I think I like the one with ribbon the best. Shop brooches. meh. Looks like Pinterest fail material to me. Maybe in person it seems cooler. So far I'm not hooked.